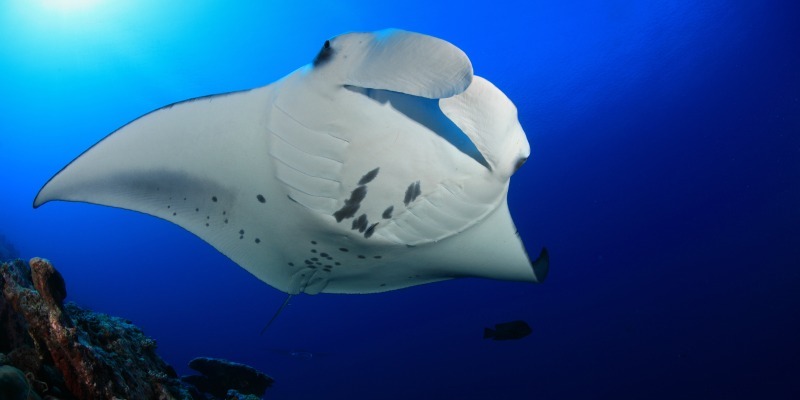 Manta rays are among the most charismatic creatures that inhabit our oceans. With the largest brain to body ratio of all fish their intelligence and curiosity make encounters with these creatures a truly amazing experience. However, despite their popularity with divers and snorkelers many aspects of these creatures lives remain a mystery, with only snippets of their life history understood. More worryingly, in recent years, a fishery for these animals has developed with devastating effects on populations of these animals globally. The Manta Trust was formed in 2011 to co-ordinate global research and conservation efforts for these amazing animals, their close relatives and their habitat. 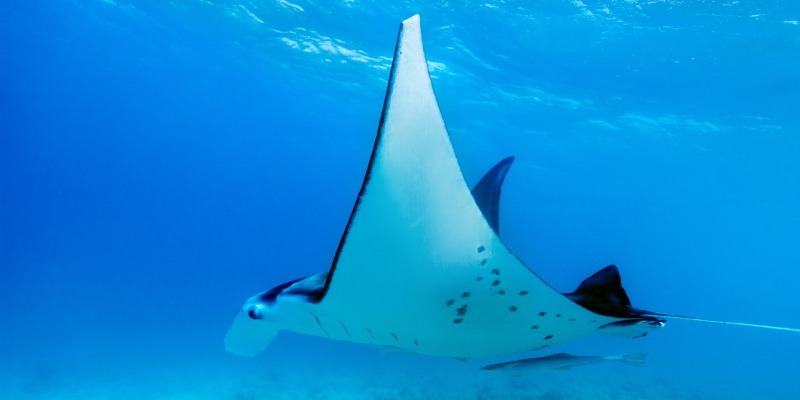 As charismatic megafauna, manta rays act as flagship species, helping to promote and engage the general public in the wider message of marine ecosystem conservation. A UK Registered Charity, the Trust brings together a number of projects from around the globe, both new and long-standing, including the Maldives, Sri Lanka, Mexico and Indonesia. By conducting long-term, robust studies into manta populations in these locations we aim to build the solid foundations upon which Governments, NGO’s and conservationists can make informed and effective decisions to ensure the long term survival of these animals and their habitat. 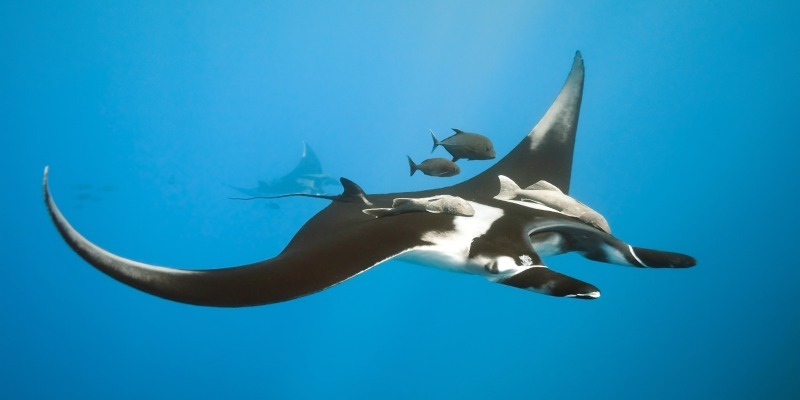 Would you like to get involved and help manta rays? Make a difference! The manta rays migrate, according to the seasons, around the 26 atolls of the Maldives, allowing manta ray viewing to be possible at any time of year in different locations. As one of the marine realm’s most charismatic and inquisitive species, an encounter with a manta ray is almost guaranteed in the Maldives. Manta rays regularly come to the surface to feed, at times in huge aggregations, and can be found hovering over coral reefs acting as cleaning stations, making them relatively easy to photograph. With over 2,750 individuals logged in the Manta Trust Maldives database, an underwater adventure in azure Maldivian waters is your best bet for a manta encounter. The predictable movements and placid nature of the Maldivian manta rays makes the archipelago an ideal site for studying them. After over 6 years of research, the data collected has enabled a number of conservation measures to be put in place in the Maldives, including the designation of Baa Atoll as a UNESCO World Biosphere Reserve in 2011. The Manta Trust researchers and volunteers work closely with tourists, local communities, businesses and governments to ensure the preservation of these amazing animals through good science, education, community based initiatives and government legislation. As the scope of the Trust’s work continues to grow our goal is to expand these efforts globally.